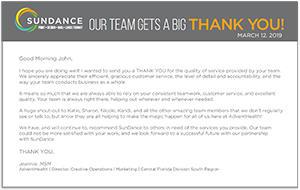 The SunDance team is committed to providing outstanding service and exceeding expectations on every single project… and it shows. Our clients come to us knowing not only are we experts in print, but we care about the look and feel of a completed piece. SunDance understands every job has a purpose and acts as a brand ambassador, leaving an impression on its audience. The commitment and care we take producing an order will affect the final outcome, and ultimately our client’s consumer. 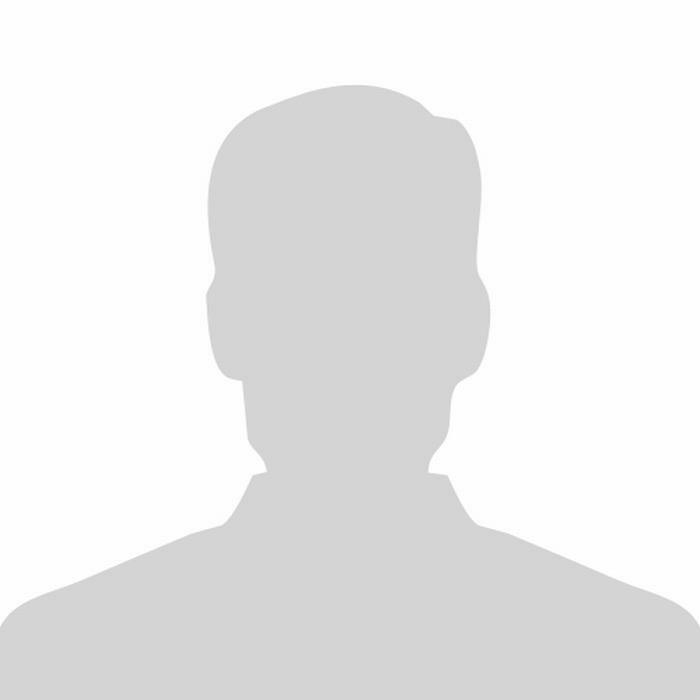 We select our employees based on a strong sense of personal responsibility and an enduring commitment to our clients. While a client will never know the name of every person responsible for the success of their job, each of our team members considers every client to be their client. 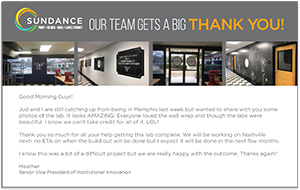 From reception to sales to every single member of our production team, SunDance employees care about our customers’ projects coming out right and on time. But don’t take our word for it. 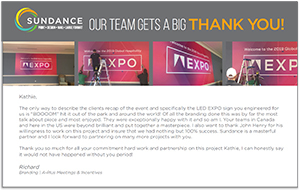 Here are some of the most recent things our clients have had to say about working with SunDance.